identifySubdomains is a creation and check tool for the bulk_node_ids and bulk_element_ids mesh properties. These properties are needed for the boundary conditions and source terms application, defined on the subdomains of a “bulk” mesh. Given a “bulk” mesh (Tests/Data/Mechanics/Linear/disc_with_hole.vtu) and a quater cirle mesh extracted manually we want to use the quater circle mesh for heterogeneous boundary condition. OGS requires two mappings into the “bulk” mesh, one for the nodes and one for the elements. 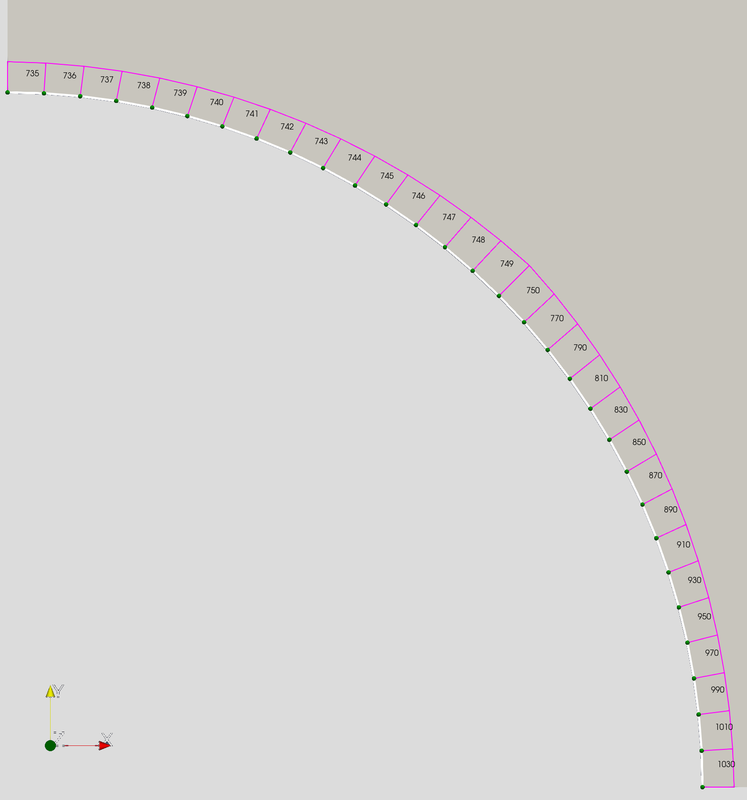 The tool will first try to find all unique nodes in the “bulk” mesh using search radius 1e-6, and create the bulk_node_ids mapping upon success. Then the bulk_element_ids mapping is created by finding a unique element containing all the nodes of the subdomain element. The output file new_quater_circle.vtu will now contain both mappings and is prepared for usage as a boundary condition mesh. The output prefix -o can contain a path too and is relative to the current working directory.